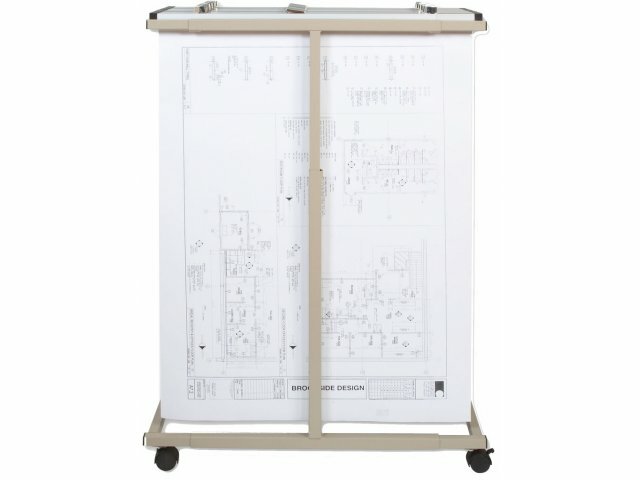 Keep your blueprints right where you need them with this Mobile Plan Center from Brookside Design. 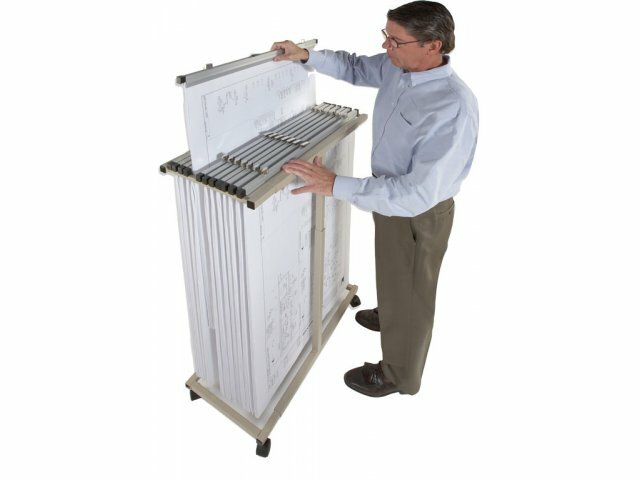 It's simple, practical design lets you transport and store blueprints of all sizes with ease. 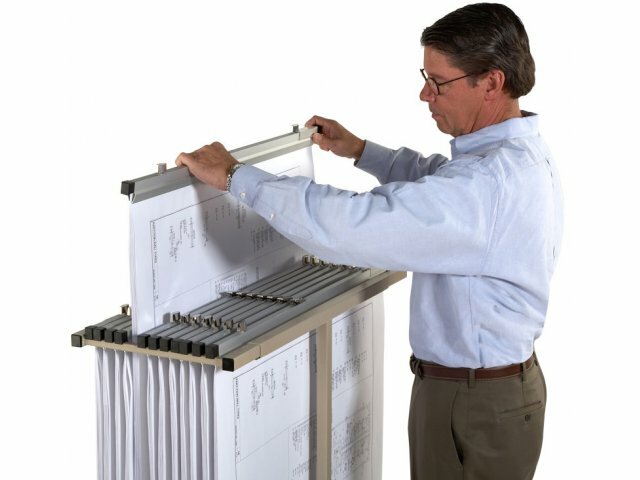 This economical mobile file is both height and width-adjustable; it can hold up to twelve clamps of the same size with a choice of various sizes, and sheet sizes up to 50 inches. 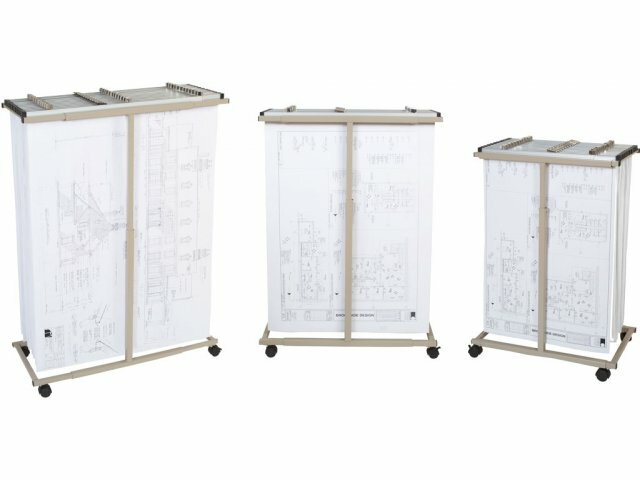 Clamps lift out and drop in for easy access. The heavy-gauge steel telescoping construction is highly durable for frequent, everyday use, and four swivel casters (two locking) are included. 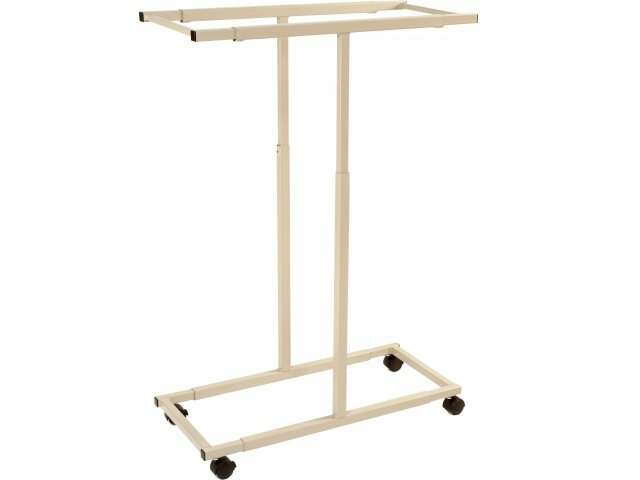 Finished in durable, beige powder-coat paint, this Mobile Plan Center blends in with any office décor. Easy assembly. 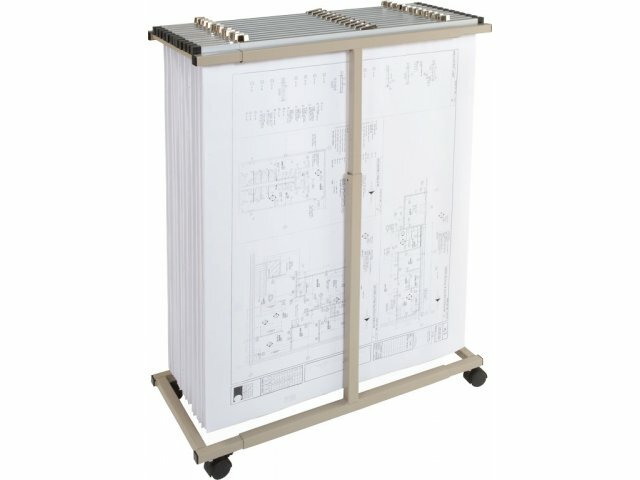 Convenient: This mobile file is both height-adjustable from 39" to 53" and width-adjustable from 26" to 38", allowing you to store a wide range of lengths and sizes. 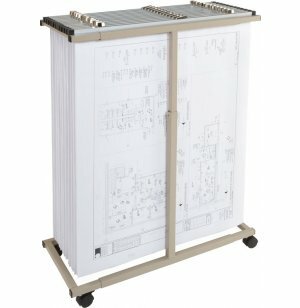 Easy Access: Top-load and lift out/drop in design offer you instant access to all files. 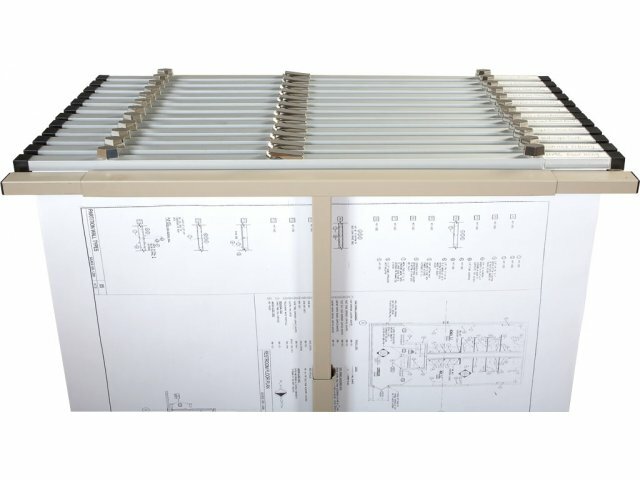 Durable: Heavy-gauge steel construction makes this product highly durable. No-Peel Finish: Powder-coat finish resists peeling and scratching. Note: Clamps sold separately. See Accessories below.